Maybe it’s the because the holiday season is inextricably bound to traditions, tales and obligations I find comedic—or maybe it’s because Lucas already briefed us on the metro music scene this month—but, this weekend, I’m vibing with funny. Wry. Ironic. Offensive. I’ll take it in all its glorious forms. Just in case life in Oklahoma City doesn’t grind to a snowy stop on Friday evening, TLO Weekend Radar has you covered with some ideas for what to do, should you decide to separate from the sofa. Who’s down for a new Christmas classic with a few naughty words to accompany the inherently naughty storyline (e.g., getting knocked up by God)! 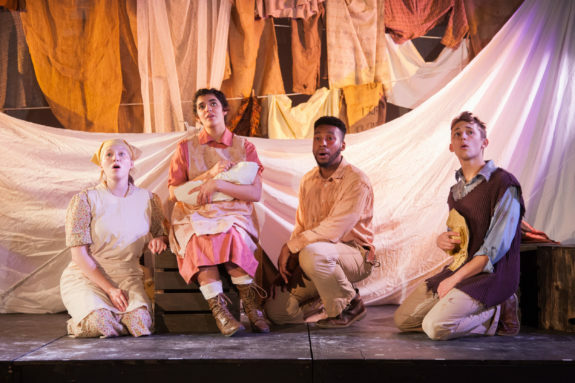 This new musical, with several showtimes over the weekend, dares to take the classic story at its word. There really is a pregnant virgin. There really is just a dream interposed between her and death-by-stoning. There are shepherds, angels, foreign dignitaries (a.k.a. wise men), a ratty extra room/stable at an inn, and a maniacal, bloodthirsty dictator whose menacing shadow hangs over everything. And obviously, it’s a comedy. Seriously, it is. Sunday, December 9th | 7 p.m. This guy is on a roll. And also on tour. 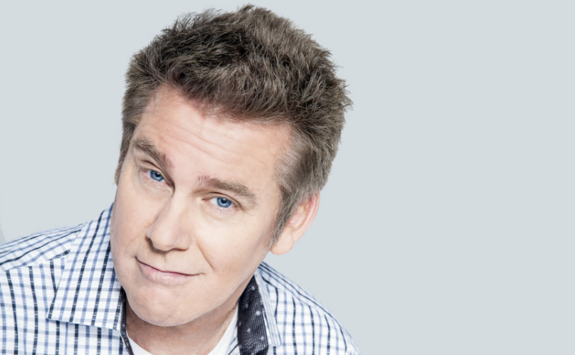 If you’ve seen his Netflix comedy special, Nunchucks and Flamethrowers or seen, you may have noticed that Brian Regan turns the most mundane situations—like going to the eye doctor to get fitted for glasses or trying to decide how many fig newtons to eat in one sitting—into stand-up material. Whether that material is gold or coal is for you to decide. I once got so drunk at a comedy show I laughed myself to tears for a post-whinnying-shrieking, guttural-grunting Bobcat Goldthwait. Which is to say, my qualification to weigh-in further is dubious, at best. Friday & Saturday, December 7th – 8th | 8 p.m. Bored of being on your best behavior and can’t possibly sit through one more family-friendly Christmas thing? Then this quick-change, cross-dressing version of the Charles Dickens classic is for you, my friend. 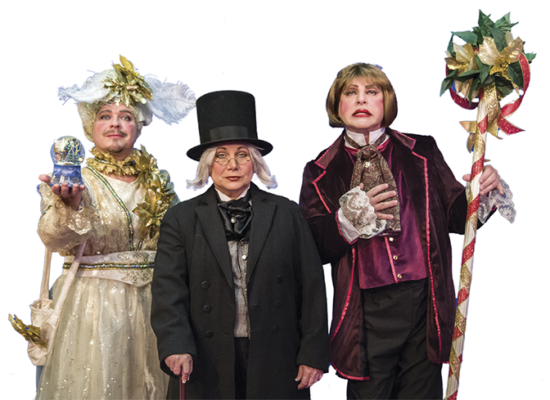 Playing at The Boom—where I once took particular joy in treating my conservative Catholic mom to a drag show—Scrooge in Rouge goes hard with bad puns, bawdy malapropisms, naughty double entendres and witty songs. Dinner starts at 6:30 p.m., so bring your appetites for food and fun. One correction to “Scrooge In Rouge”…dinner is not included in the ticket price. It is optional/extra.